Encounter and rejoice the immense beauty of nature in Kerala. Tropical paradise, windy sands beaches, waving palms and emerald black waters are just few essence you can experience in this leisure tour. 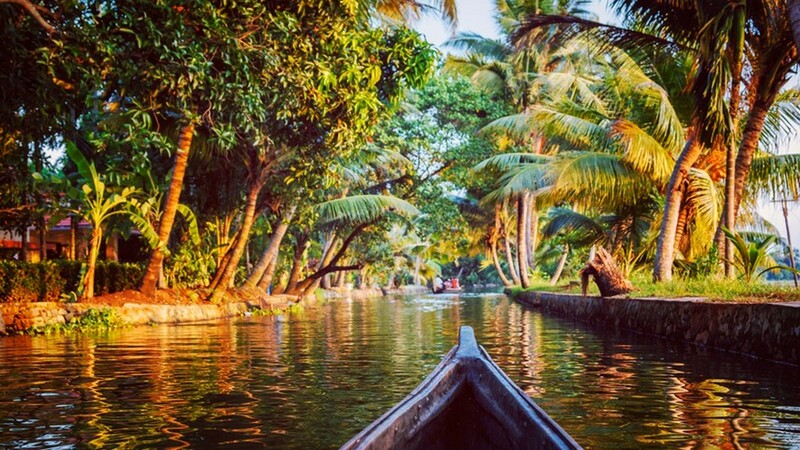 Come join the journey and take home some beautiful memories from Gods own country- Kerela!!! Pick up from Cochin airport and proceed to Munnar. Check in at Hotel. 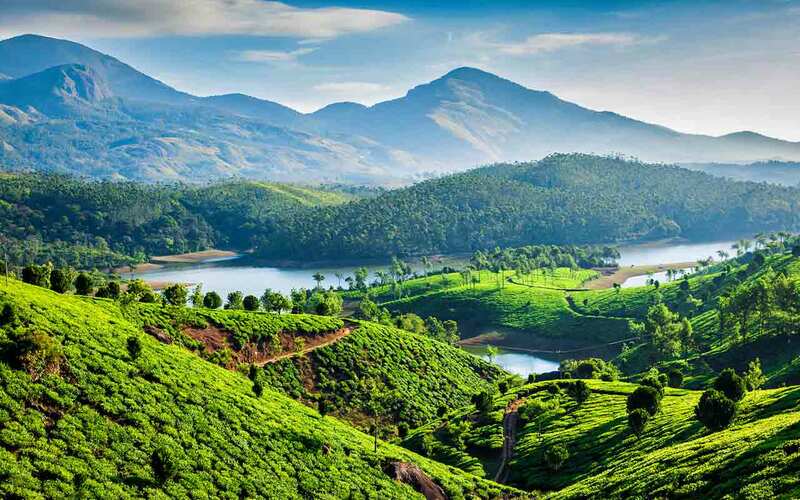 Munnar is a hill station, which was once the summer resort of the erstwhile British Government in South India . On the way you can also watch the lovely waterfalls in Cheeyappara and colorful flowers in Blossom Garden Munnar is situated at the confluence of three mountain streams Mudrapuzha, Nallathanni and Kundala and enjoy over night stay at hotel. After breakfast, we proceed on a daylong sightseeing tour of Munnar. Visit the Eravikulam National Park – home to the endangered mountain goat species, the Nilgiri Tahr. Take snaps of the frolicsome and rather friendly goats. After that you can visit Mattupetty dam, Flower garden, Echo point ,Tea plantations. Return back at hotel. Overnight stay at hotel. After breakfast check out from Hotel and proceed to Thekkady. As you wind your way up the road, the wooded terrain clears to reveal a breathtaking spectacle of rolling tea and cardamom plantations. Fill your lungs with fresh mountain air, savour the rich fragrance of cinnamon and cloves. Thekkady is situated 2800 ft above sea level; the climate is pleasantly cool through out the year. Periyar is South India ’s most popular wildlife sanctuary. This is the only wild life sanctuary in India that offers the unique opportunity of viewing wild life in their natural habitat at close quarters from the safety of a boat on the lake. After a guided spice plantation tour in the afternoon (optional at extra cost), enjoy a boat ride in the lake and if you are lucky you can watch young elephants drinking at the water’s edge. Overnight stay at hotel. Houseboat in Vemband Lake.Check out from Hotel and proceed to Alleppey. By 12.00 noon, embark on an exciting a/c houseboat cruise through the back waters. Board the traditional houseboat at Alleppey and start the long and meandering ride through the unique backwaters of Kerala in a thatched roof houseboat. The houseboat is an improvisation of the large country barges, which were an essential part of the land’s ethos in days gone by. The kettuvalloms (houseboats) are comfortably furnished with an open lounge, one/two/three bath attached AC bedrooms and a kitchenette, and are extremely eco friendly. Every houseboat is manned by a crew – cook, guide and oarsman. Winding through the vast expanse of the paddy fields and tiny hamlets and palm fringed narrow canals is an unforgettable experience. Night stay at the houseboat. Morning after breakfast proceeds for Cochin Sightseeing which includes Jewish synagogue, St. Francis Church, Santa Cruz Basilica, Chinese Fishing nets, Dutch Cemetery,Dutch Palace and the Fort Cochin beach. Overnight stay at the hotel. Morning breakfast at hotel and departure for Cochin airport for onward destination with good memories form Nepal holiday makers. All accommodation in the hotels on Double sharing , subject to availability at the time of confirmation. Meal plan on MAP Basis (Bed + Breakfast ) at hotels and AP plan(Bed + Breakfast Lunch+Dinner) at houseboat.